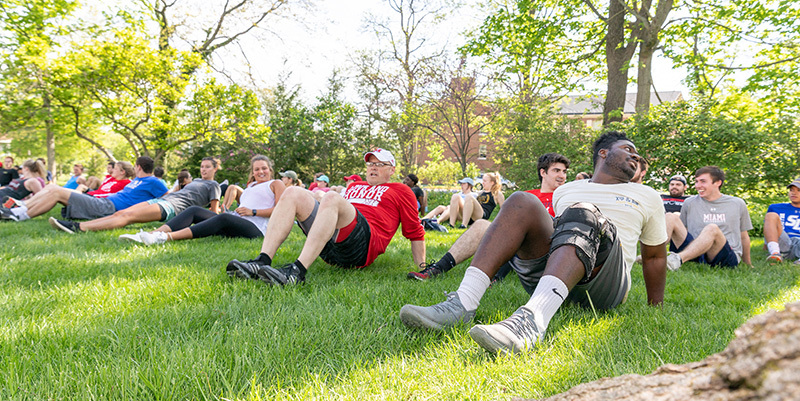 Miami University President Greg Crawford, an avid bicyclist and fitness follower, was featured in the Wall Street Journal's "What's your Workout?" feature. The Aug. 25 article included photos of President Crawford cycling on campus and also working out in the backyard of Lewis Place for monthly M.O.V.E. boot camps to which students and community members are invited. Find more information and photos here: https://www.wsj.com/articles/a-college-presidents-spin-on-fitness-1535203800.